According to a report from CBC News, Apple refused to furnish 72-year-old Peggy Bush with her husband David's Apple ID password after he died in August, saying that to do so would require a court order. Bush, who was unaware of Apple's stringent security policies, knew the hardware passcode for David's iPad, but not his Apple ID. She first encountered a problem when attempting to reload an unnamed card game from the App Store. Bush's daughter, Donna, reportedly spoke to an Apple representative who said it would be possible to retrieve the lost password with her father's will, death certificate and verbal confirmation from her mother. Donna called back after acquiring the requested documents, but the customer service representative denied knowledge of the matter. Following two months of back-and-forth correspondence, Apple told the Bush family that recovering David's password would not be possible without a court order. "I finally got someone who said, 'You need a court order,'" she said. "I was just completely flummoxed. What do you mean a court order? I said that was ridiculous, because we've been able to transfer the title of the house, we've been able to transfer the car, all these things, just using a notarized death certificate and the will." 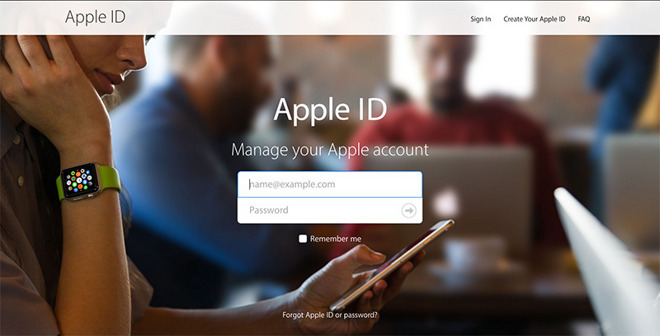 Because a user's Apple ID and password are tied to payment information and other sensitive data, Apple implements strong safeguards to protect the data from falling into the wrong hands, going so far as to offer optional two-factor authentication via SMS or push notification. Apple IDs are also used to protect against hardware theft via activation lock, though it appears the feature was not activated on Bush's iPad. "I then wrote a letter to Tim Cook, the head of Apple, saying this is ridiculous. All I want to do is download a card game for my mother on the iPad," Donna said. "I don't want to have to go to court to do that, and I finally got a call from customer relations who confirmed, yes, that is their policy." After being contacted by CBC News, Apple apologized for what it characterized as a "misunderstanding" and reached out to the Bush family to fix the issue. The company did not comment on current or future contingencies for transferring ownership of digital property after death.